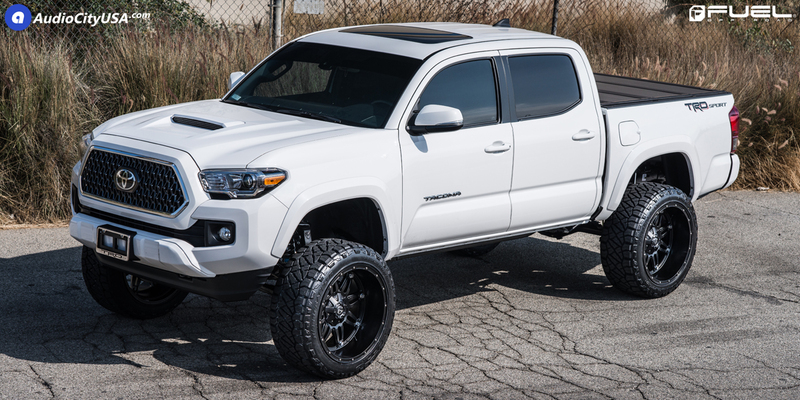 Get ready for the Haul with this Toyota Tacoma on Fuel Wheels! Big things in a small package. The Toyota Tacoma may not be the biggest, strongest, fastest, or most capable truck on the market, but it’s one of the best and most dependable. This bad boy has been through some of the toughest and roughest conditions in the world and lived to tell about it. 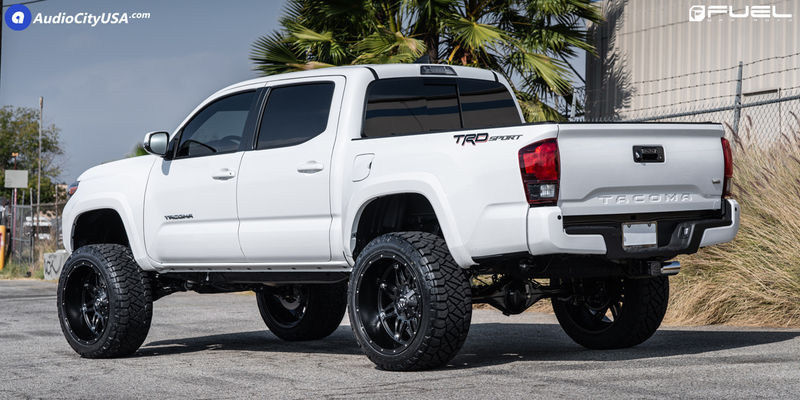 This Tacoma TRD Sport model has all that and some added goodies from the suspension to the new Fuel Wheels. The Toyota Tacoma has a pretty strong foundation that’s ready to take on anything thrown its way. This TRD Sport model packs a 3.5-liter naturally-aspirated V-6 engine that churns out 278 horsepower at 6,000 RPM and 265 lb-ft. of torque at 4,600 RPM to the rear or all four Fuel Wheels. It’s capable of towing up to 6,800 lbs. and can accelerate with some pep in its step as well. The TRD Sport version of the Tacoma as seen here also comes with a host of goodies for off-road performance. From the factory, there’s new rims, a more capable suspension, new body work, and more. That wasn’t enough for this owner, who added in their own suspension lift kit that raises the ride height considerably to make room for the new Fuel Wheels. After the lift kit was installed, this Toyota Tacoma was given a new set of Fuel Hostage – D531 rims. These eight-twin-spoke Fuel Wheels feature a deep lip with exposed hardware and a sinister Matte Black finish that contrasts the factory body perfectly. 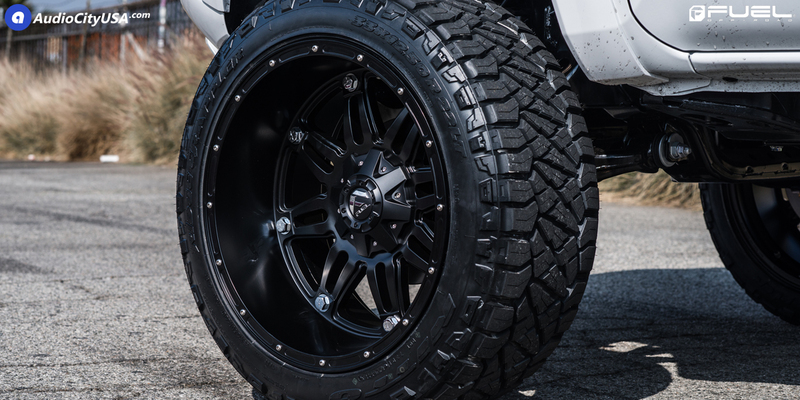 The Fuel Hostage – D531 rims measure a hefty 22 x 12.0 at the front and rear and are equipped with 33 x 12.50 R22 off-road tires for added grip in sticky situations. 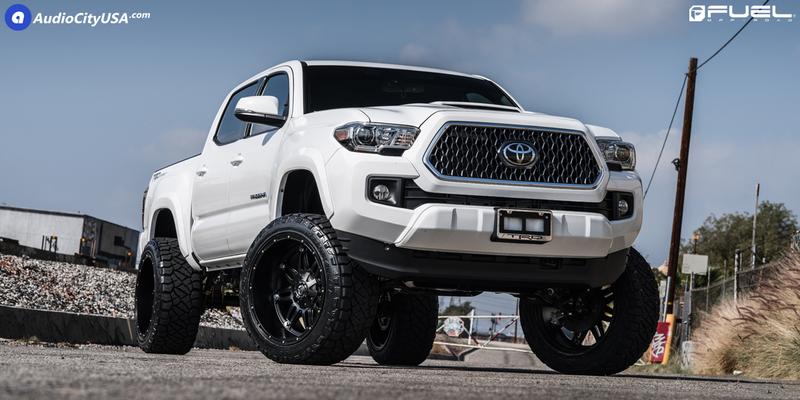 This Toyota Tacoma might not be the biggest or most powerful truck, but you could say that it’s one of the baddest with its new Fuel Hostage – D531 rims. Command the Trail with this Jeep Wrangler on Fuel Wheels! Speed around Town with this Ford Focus ST on Rotiform Wheels! Time to Shred with this Ford Mustang GT on Niche Wheels!